We have been utilizing Class IIIB and Class IV lasers with dramatic results. 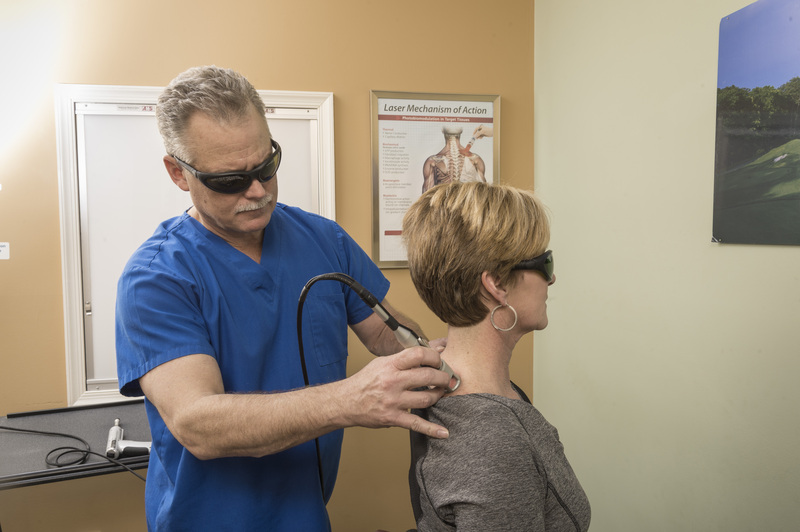 Laser therapy is proven to biostimulate tissue repair and growth. The laser accelerates the healing process and decreases inflammation, pain, and scar tissue formation. In the management of chronic pain, Class IV Laser therapy provides excellent results. It is drug free, non addictive and virtually free of side effects. We have added an Aspen 60 Watt high intensity laser to our clinic. With the Aspen laser there is more power combined with the correct wavelength which equates to deeper penetration and faster treatment times. We have seen great results with this new high intensity laser.